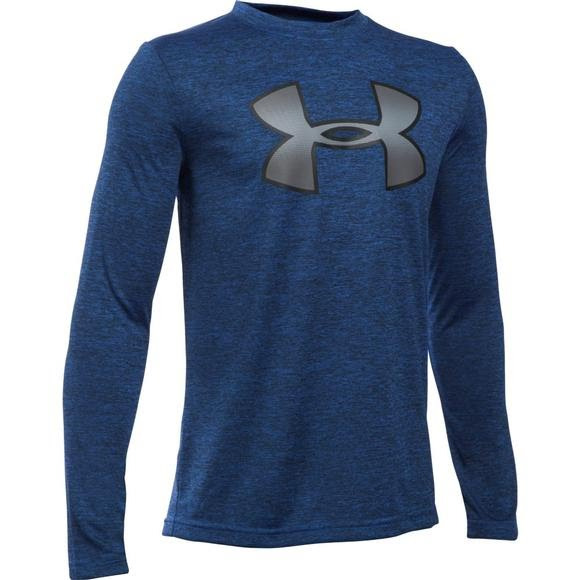 With a loose, fuller cut for complete comfort, the Under Armour Boy's Youth Novelty Big Logo Long Sleeve T-Shirt features UA Tech™ fabric constructed with Moisture Transport System and anti-odor technology. With a loose, fuller cut for complete comfort, the Under Armour Boy&apos;s Youth Novelty Big Logo Long Sleeve T-Shirt features UA Tech™ fabric constructed with Moisture Transport System and anti-odor technology. Prevents bacterial growth to minimize odor.